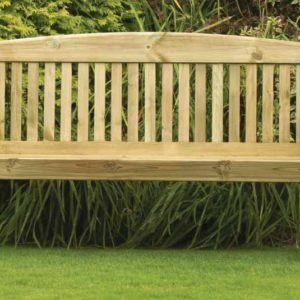 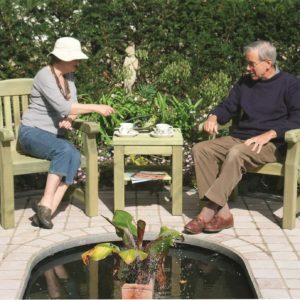 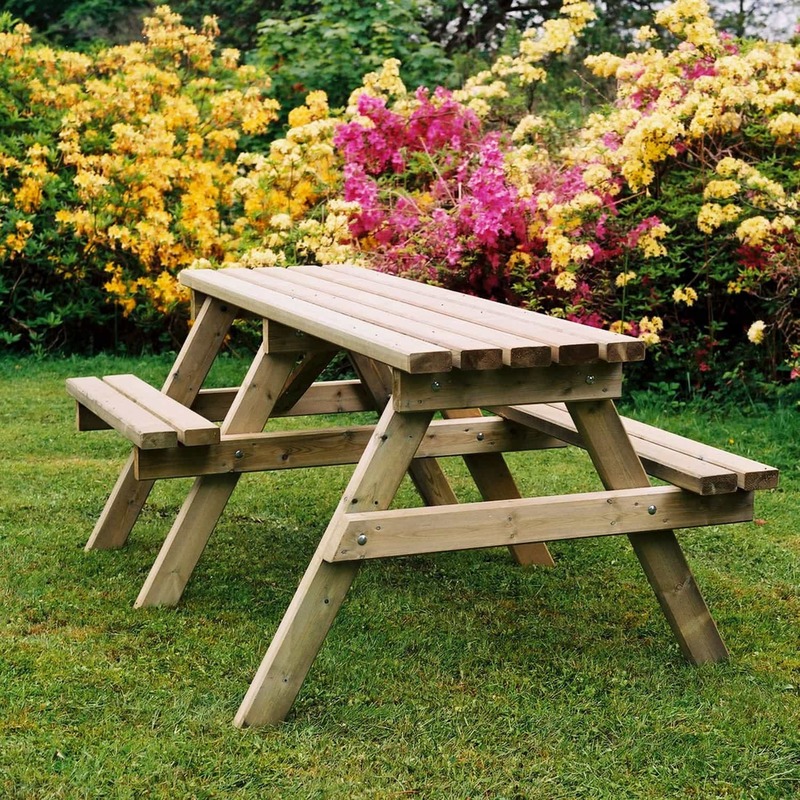 An elegant curved bench designed to create a feature in your garden. 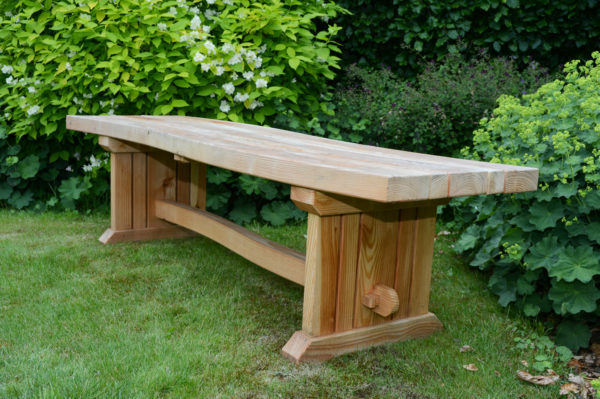 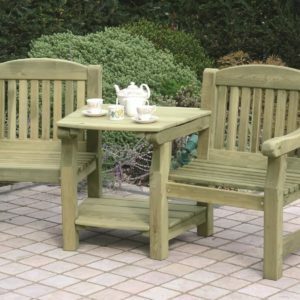 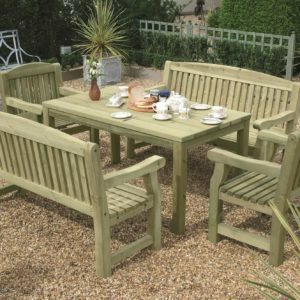 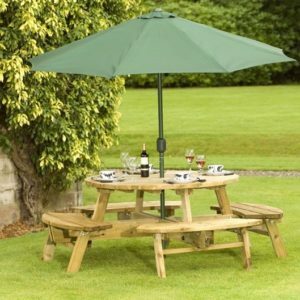 Made from iroko or pressure treated Scandinavian redwood, the curved bench seats two comfortably. 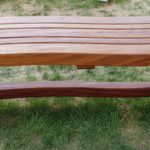 With curved top and matching curved stretcher. 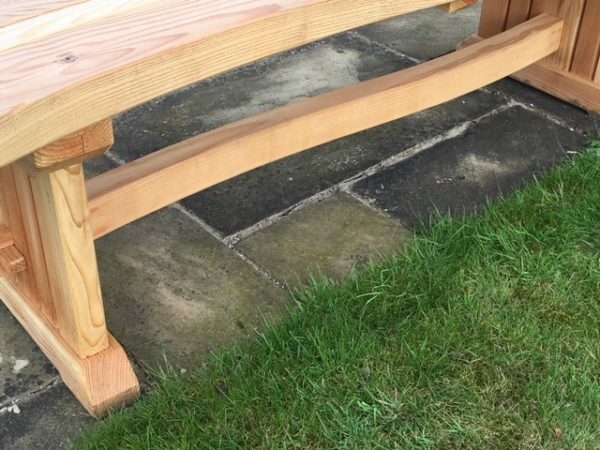 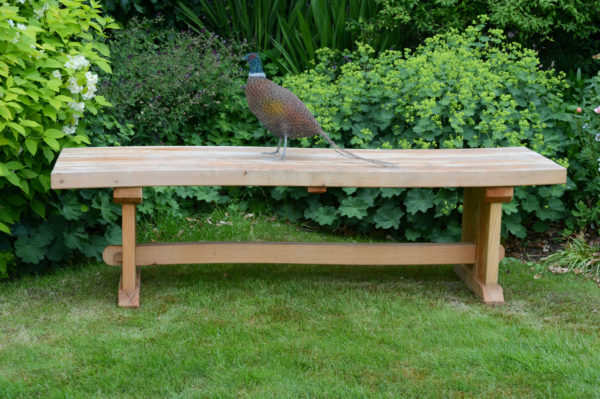 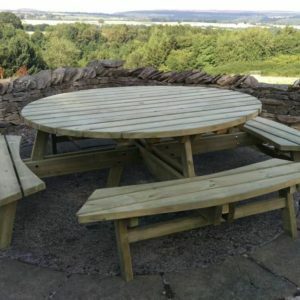 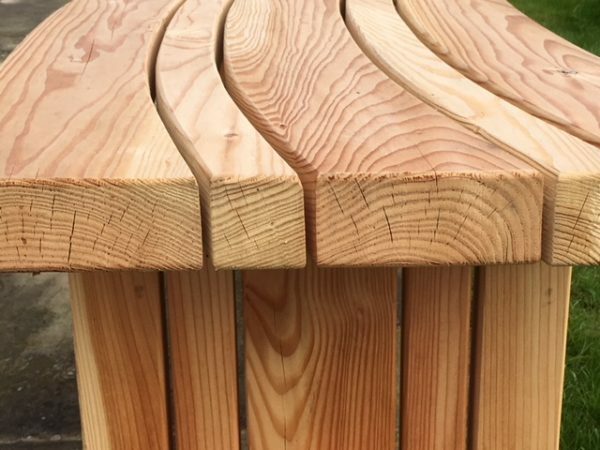 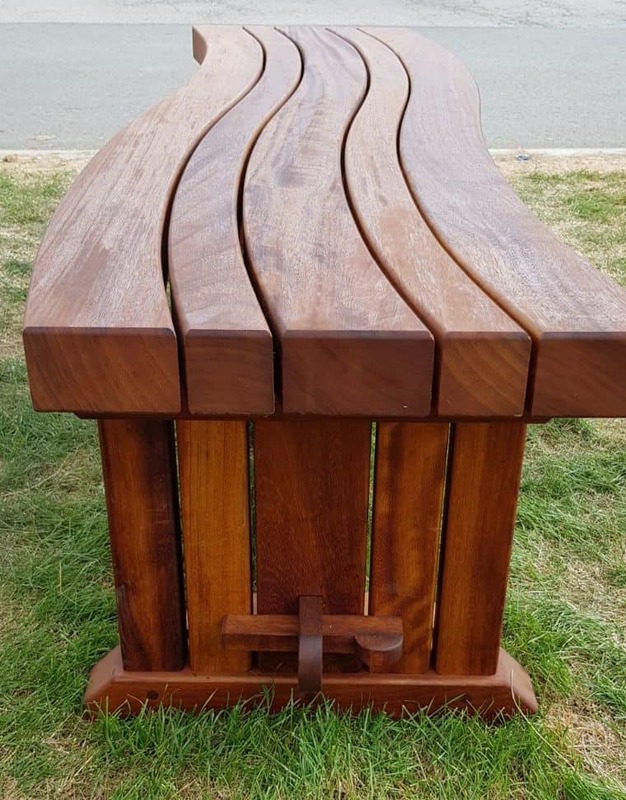 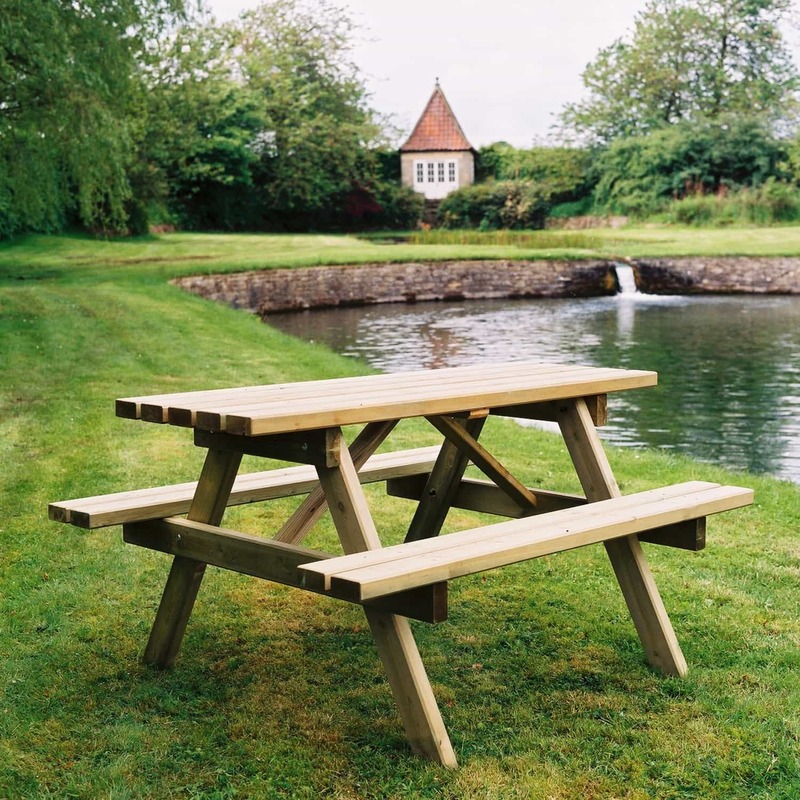 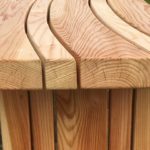 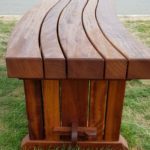 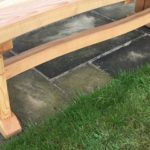 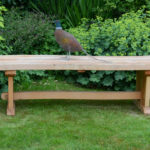 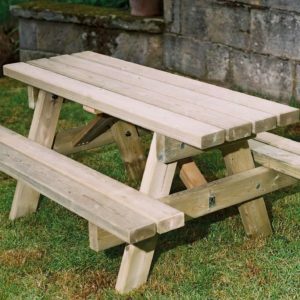 The redwood bench comes treated but the iroko bench is supplied in it’s natural state; however it can be oiled to protect the timber further at an additional cost of £30 + VAT. 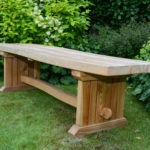 The photographs also include a curved bench made from the customer’s own timber (in this case larch).